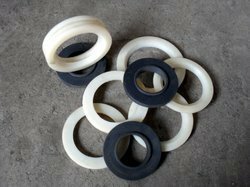 Abiding by quality focused approaches, we are engaged in manufacturing and supplying premium quality Rubber Buffer seal. 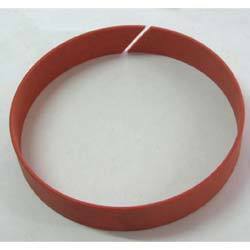 To meet the varied requirements of patrons, we provide the offered wiper seals with metal as well as without metal, different sizes. Moreover, we provide the offered wiper seals as per the details specified by patrons to ensure their maximum satisfaction. 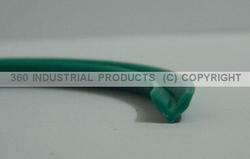 We mfg & export PTFE guide ring as per the requirement of the client's. 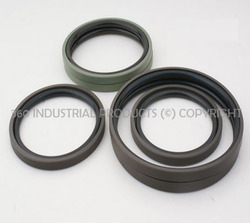 PTFE guide ring used in hydraulic cylinder. We develop the ring to tolerate the pressure. 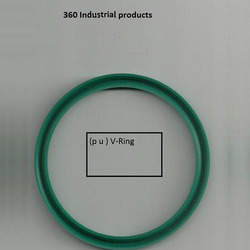 Offered by us is high quality Rubber V-Ring to the esteemed customers, as per their specific requirements. The range of (PU) Polyurethane Bearings, Impellers, Seals, Rotor Blades & Vanes, Buckets, Trolley Wheels and PU Tubes are widely used for pneumatic purposes. 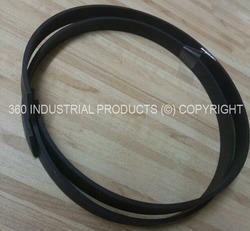 These products are also used for making O-Rings, belts & other components, thus, are highly demanded in the market. 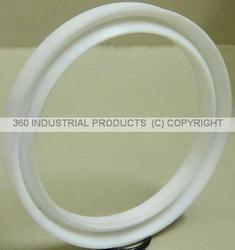 We mfg PTFE u ring as per the requirement. 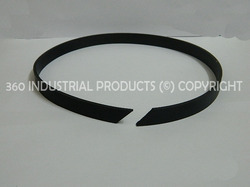 We are one of the most trusted names of the industry engaged in offering Rubber Piston Rings to the customers. These products are made available to the clients in NBR, silicon, viton & (P.U) to meet their specific demands in the bets possible manner. 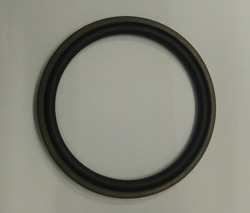 Piston & Guide Rings are offered by us to the clients with or without metal inserts in various sizes ranging from 6 mm to 800 mm ID in NBR and viton rubber. 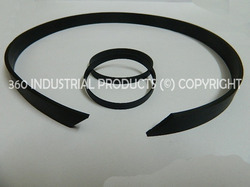 We are manufacturer, supplier and exporter of Rubber Sealing Rings. The products have been fabricated using best quality raw material. We have a client centric approach and are indulged in providing these products in a customized manner in order to cater to the variegated needs of our customers. These are available at industry leading prices to our prestigious customers. 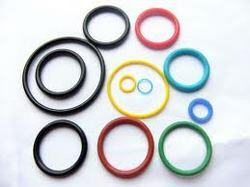 Looking for Rubber Rings ?